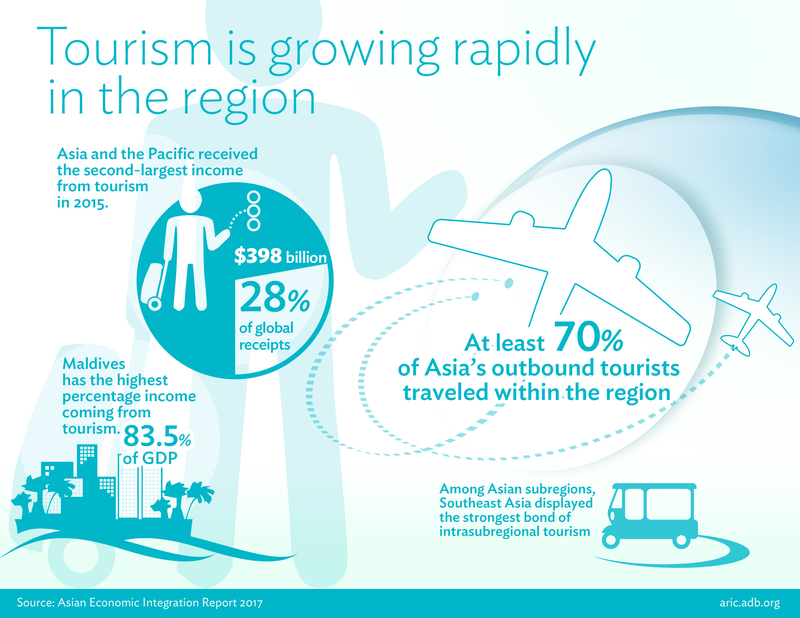 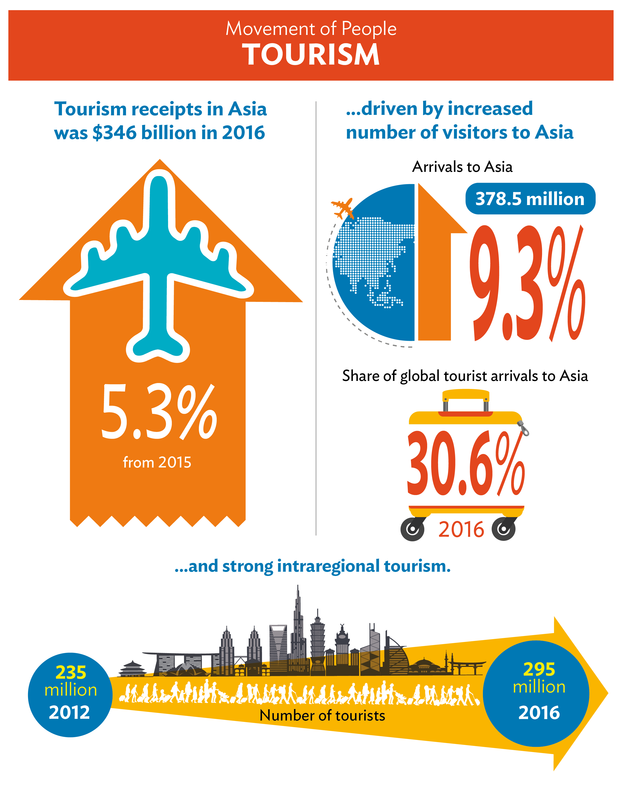 International tourism receipts to Asia grew to a record high in 2016, as the number of visitors increased and intraregional tourism expanded. 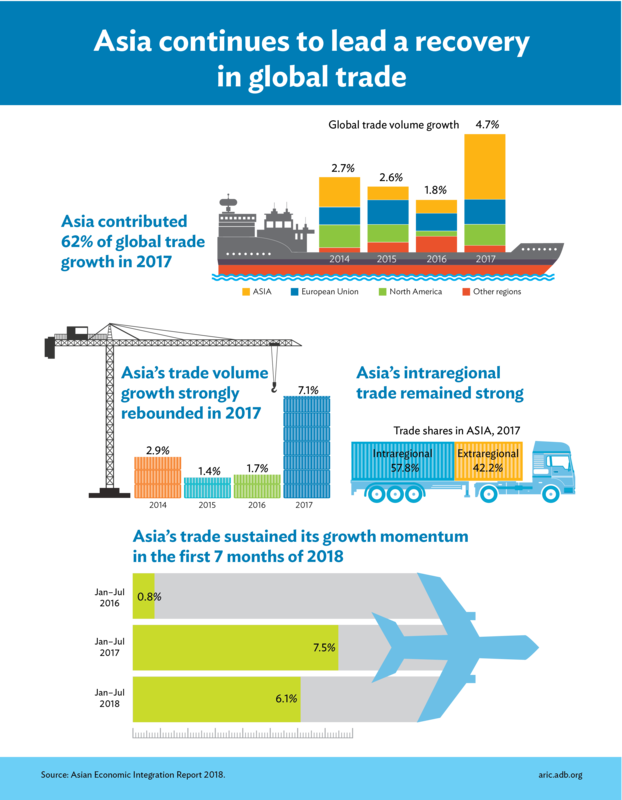 The recovery in global trade continued in 2017 with Asia leading the pace—bolstered by the strengthening trade integration of the region. 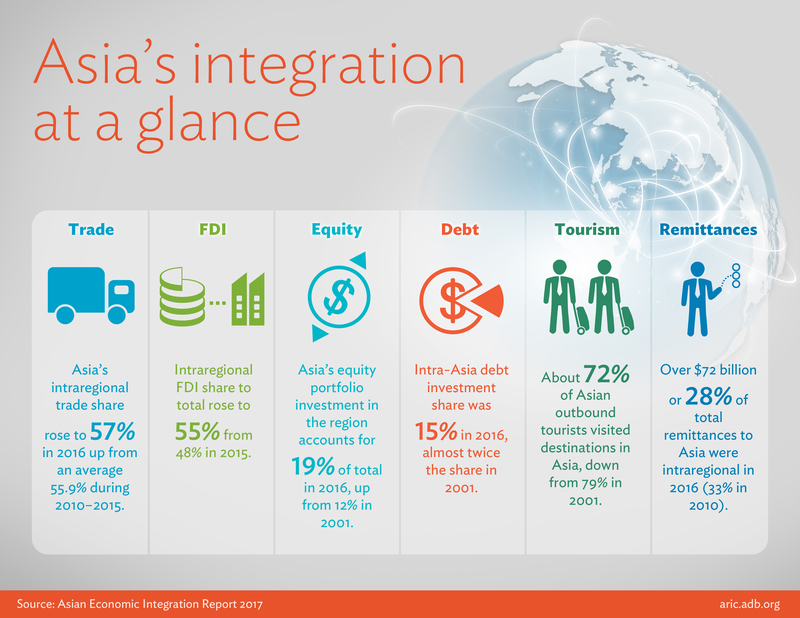 Regional integration in Asia and the Pacific is strengthening, with trade and foreign direct investment leading while financial integration lagging. 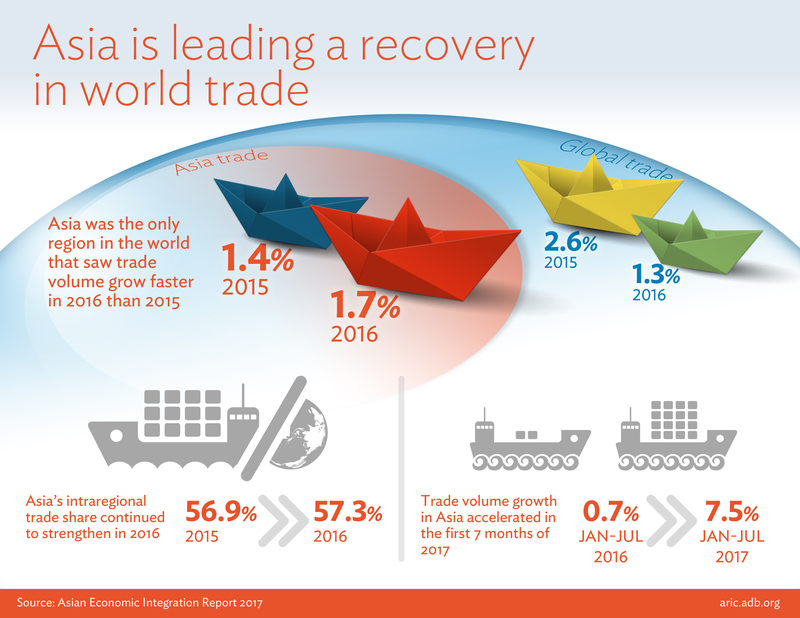 The simultaneous recovery in global and regional trade can be attributed to the expansion of the global value chain (GVC)—after a continued slowdown since 2012—with Asia’s GVC participation rebounding as well. 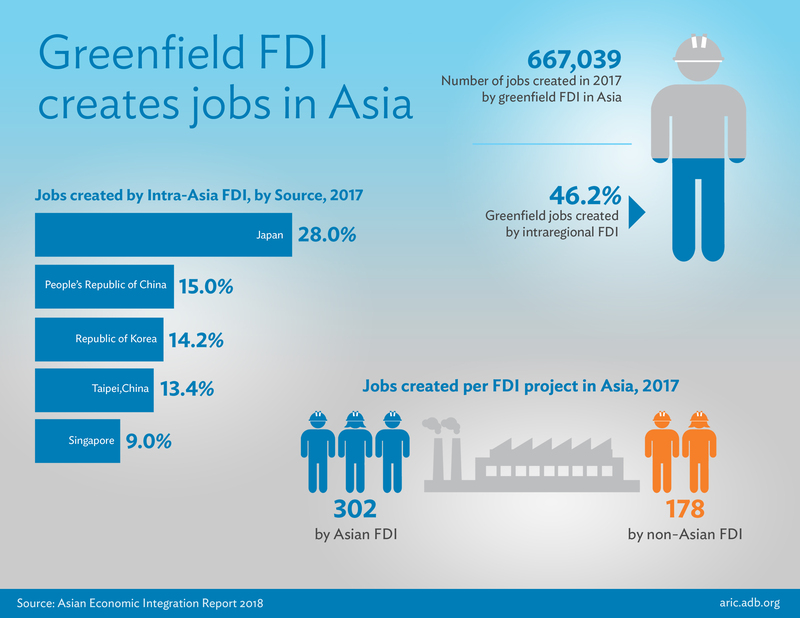 Asian investors have been a major contributor to greenfield FDI job creation in the region—generating more jobs per investment and benefiting manufacturing industries. 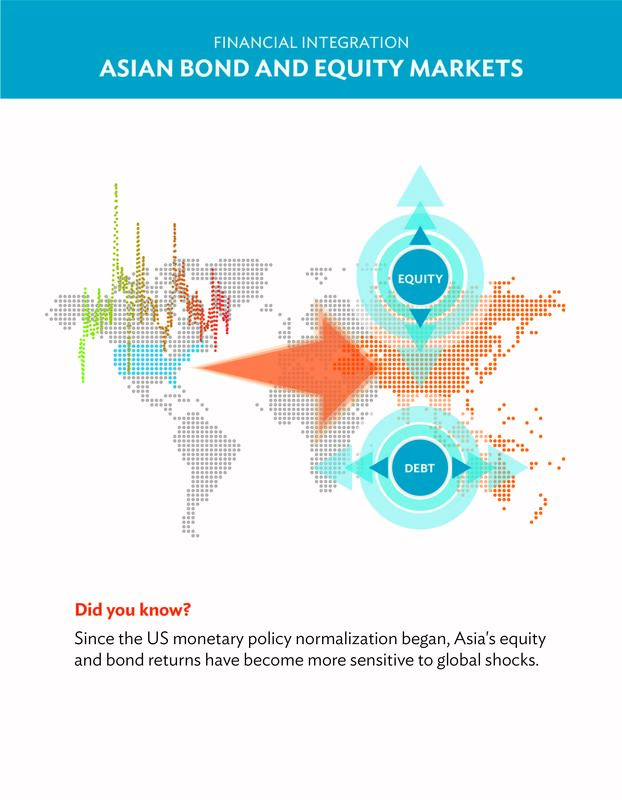 Understanding how an individual nation’s contribution adds to the overall provision of RPGs can help RPG suppliers, including nations and multilateral development banks alike, take the most appropriate modes of provision to avoid the collective action problem. 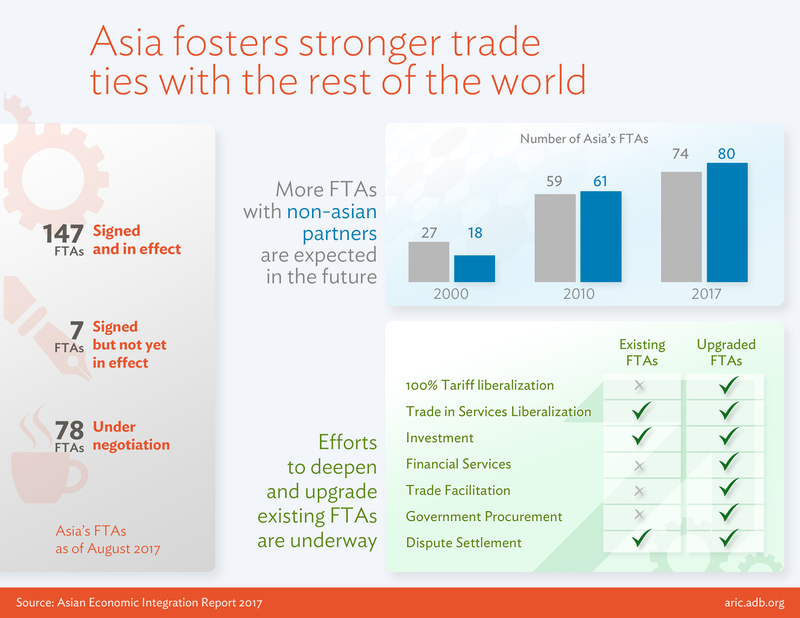 Asia continues to expand its trade ties with non-traditional export markets amid current trade tensions. 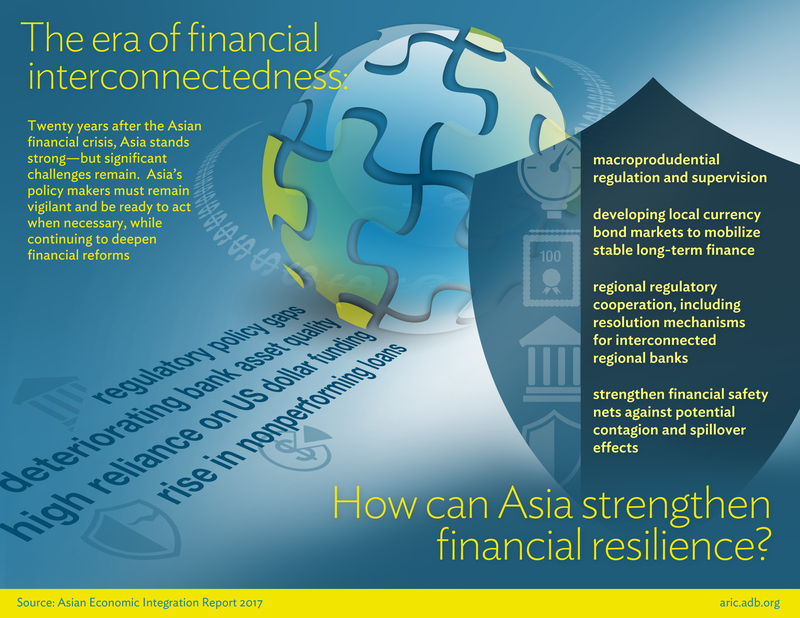 How can Asia strengthen financial resilience? 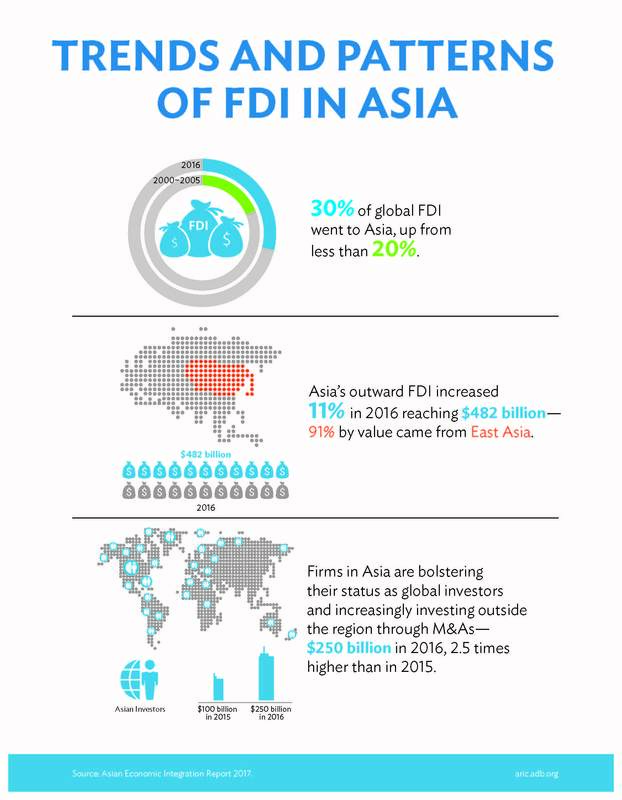 Continued support for financial reforms is crucial to ensuring Asia's financial resilience. 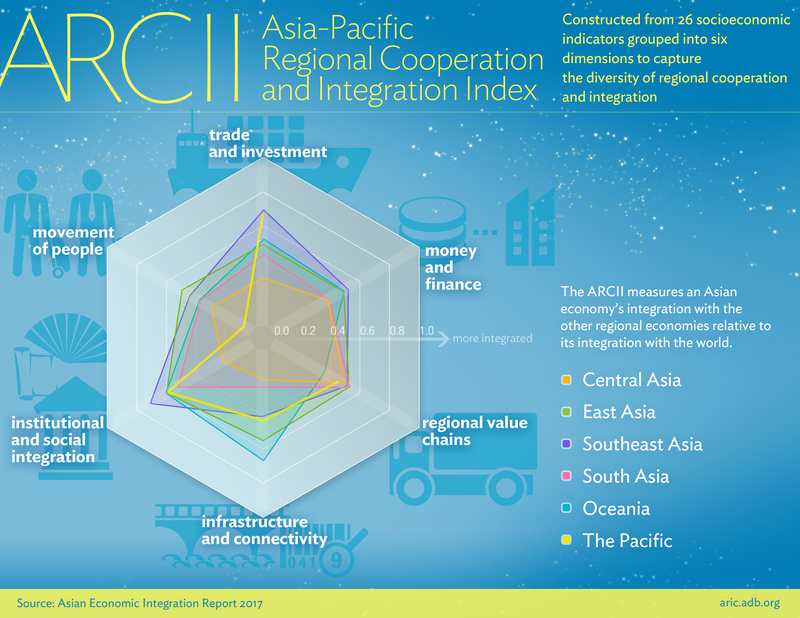 The newly-introduced ARCII aims to measure the extent and progress of regional cooperation and integration in Asia and the Pacific. 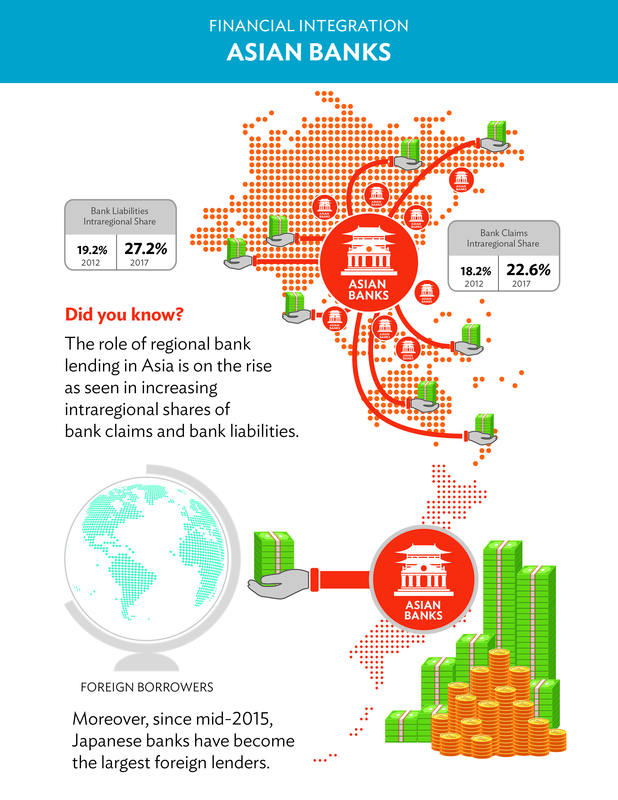 Asia's cross-border assets continue to grow, further strengthening its linkages globally. 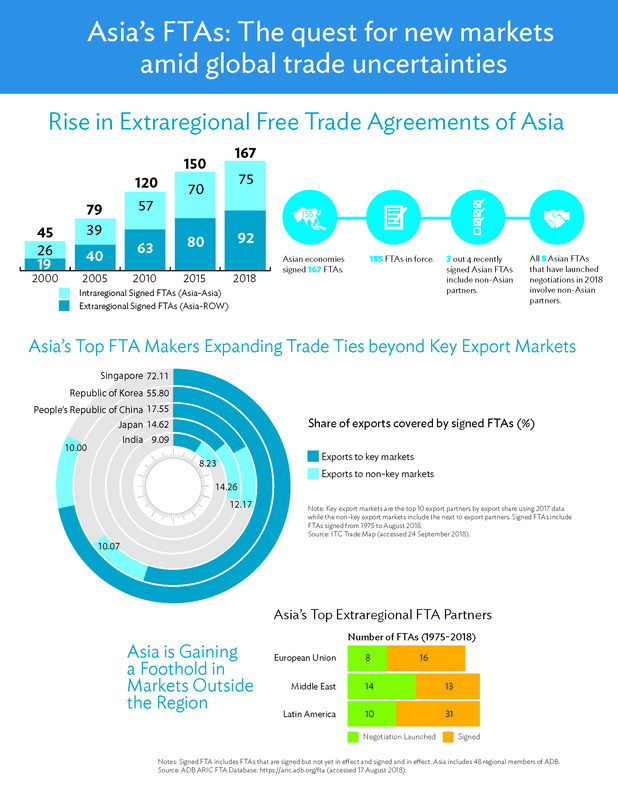 ARIC's infographic illustrates the latest trends and insights on Asia's FTA landscape. 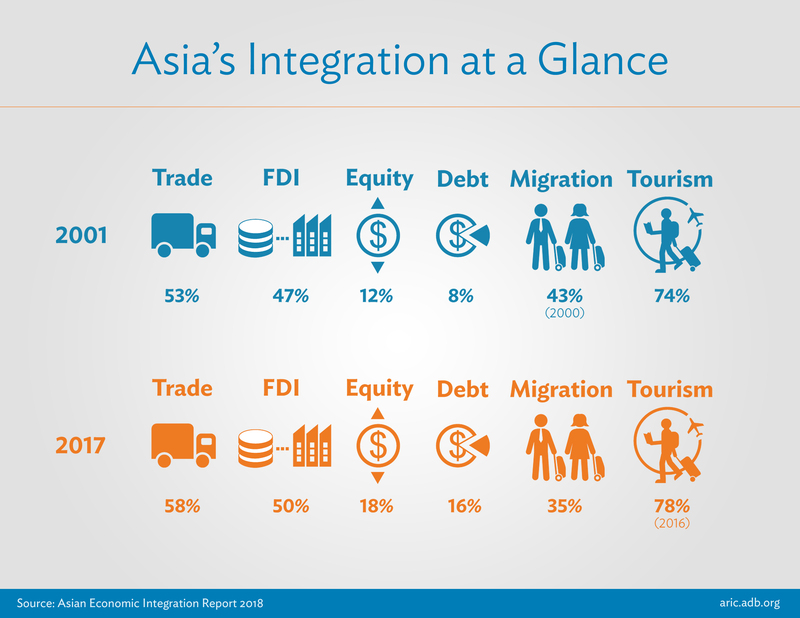 A snapshot of the level of integration in Asia and the Pacific in areas of trade, foreign direct investment, finance, tourism and remittances. 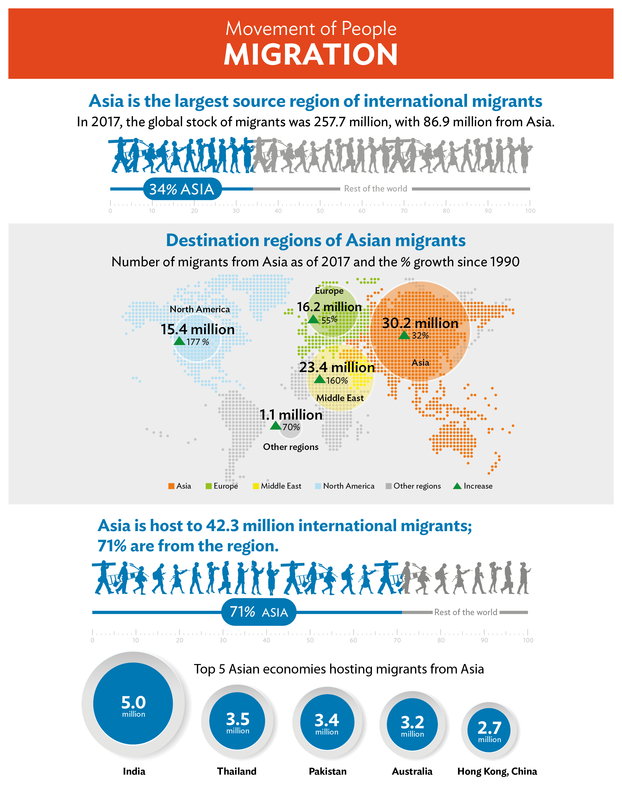 Refer to the Asian Economic Integration Report 2017 for detailed analysis. 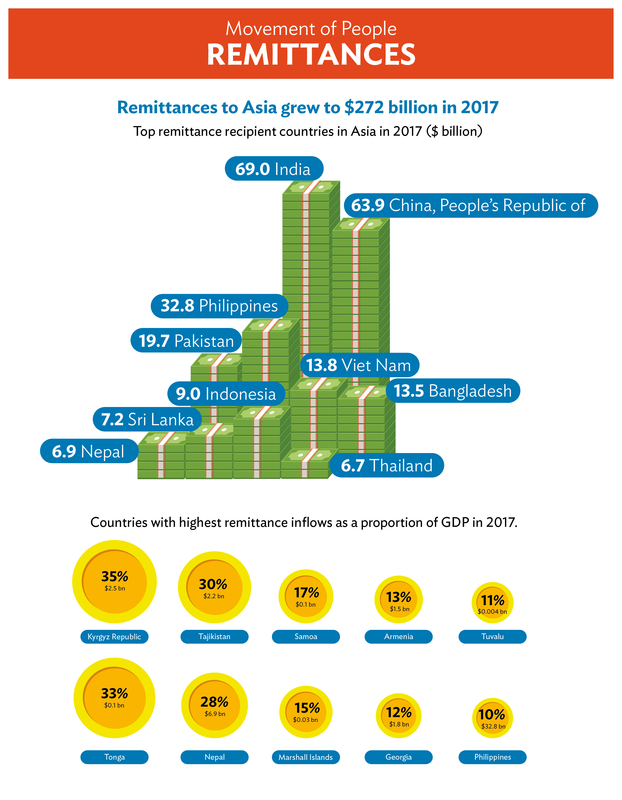 Download report here. 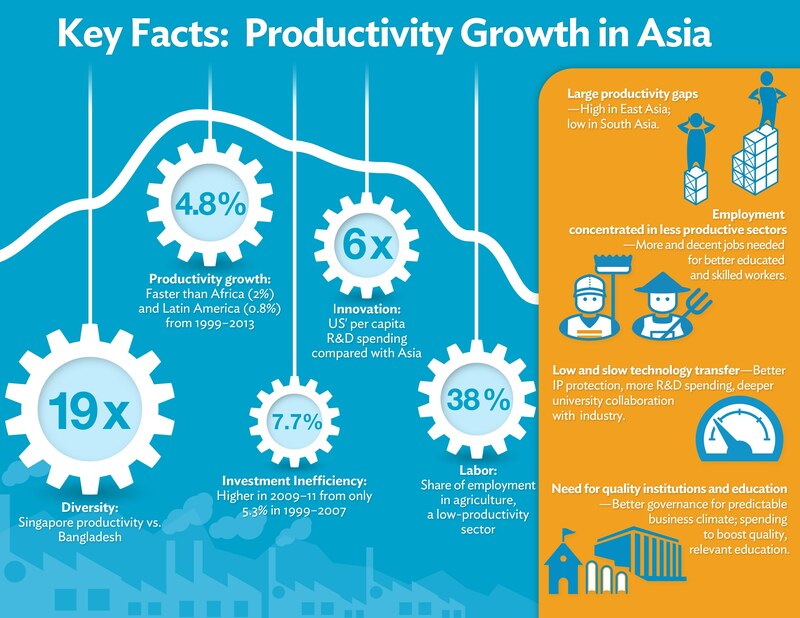 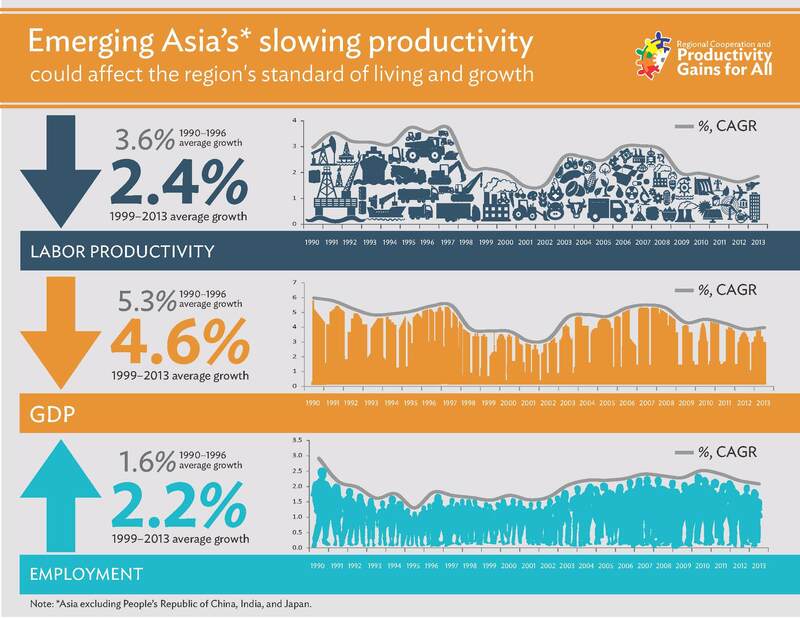 The slowing productivity growth in most Asian economies could be affecting the region's standard of living and economic growth.